Read just about any business publication and you will quickly conclude that how an organization manages its information assets is now just as fundamental a source of competitive differentiation as how it manages its physical assets, its human assets, and its financial assets. Amidst all of this opportunity, organizations are drowning in a sea of content and information. 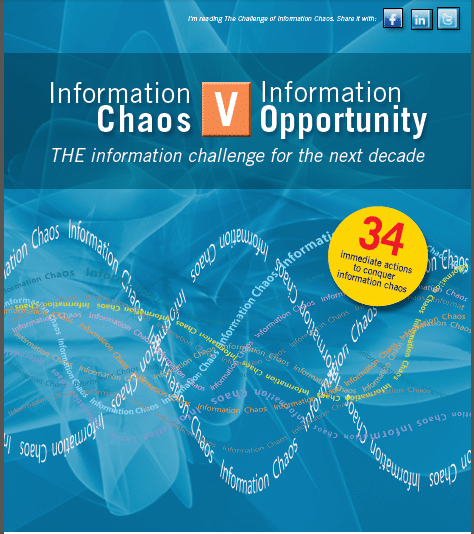 This ebook explains the challenge of #Infochaos and outlines 34 actions that you can take NOW to gain control over the chaos.